Access SupplyChain is supply chain management software that can aid companies in decreasing costs, managing waste and enhancing production quality. One of the key features of this supply chain management software is its effective integration of sales and billing, and it also provides tools that can be easily integrated and configured for tracking your supply chain’s key performance indicators. The 3D solution video shows how using Access SupplyChain Management helps businesses streamline their warehousing, production, planning and finances. GT NEXUS PLATFORM VIDEOGT Nexus operates a cloud supply chain platform that provides a connection between the supply chain and finance organizations to solve problems of supplier failures, higher costs, and inability to meet demand. It connects you to a community of manufacturers, retailers, logistics service providers, carriers, trading partners, and banks who are integrated to and operating on GT Nexus to improve the pace and ease and flexibility of doing business globally. The supply chain platform video shows how using GT Nexus solution helps bridge the gap between the supply chain and finance organizations to improve operational efficiency and business agility. Supply chain management solutions from IBM deliver supply chain planning and execution capabilities across the extended enterprise, enabling companies to anticipate, control and react to demand and supply volatility within the supply chain. 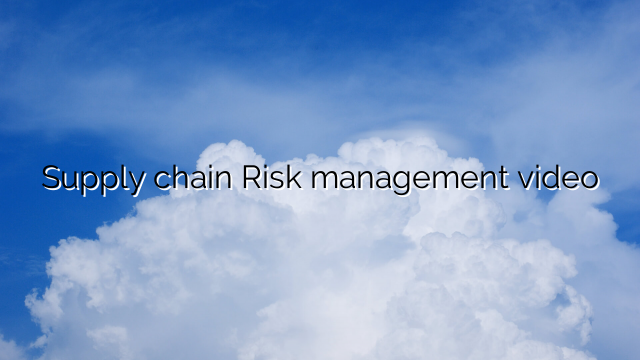 The IBM SCM video overview shows how it can help you predict and proactively manage and mitigate supply chain risks and disruptions. Next articleBYOD: Is it the New-Gen Big Hit?